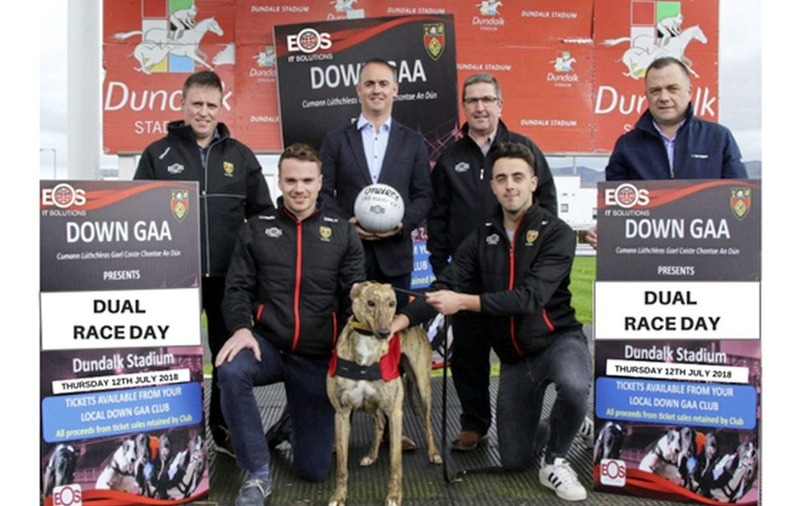 DOWN GAA has been announced as the new sponsor of the annual 12th July dual race day at Dundalk Stadium, using the flagship race day as a fundraising initiative and inviting all clubs within Club Down to make their way south on the traditional 12th July holiday. This unique dual racing event commences at 2.40pm with a seven-race horse card featuring the Down GAA Handicap. The night’s greyhound racing will commence at 7pm with the Down GAA Dundalk International the ace of the card. The Dundalk International is an invitation only race with a total prize fund of €37,000 and is the richest one-off greyhound race in Ireland and the UK. The winner will pocket a grand total of €20,000 whilst the runner-up will receive €6,000. €3,500 is on offer for third place and the remaining entrants will €2,500 each. Marshes Shopping Centre Ladies Day will take place in the afternoon with one lucky lady walking away with a prize package to the value of €4,000 to include an amazing holiday of a lifetime to a destination of their choice as well as a luxury shopping experience at Marshes Shopping Centre. Emma Meehan, Sales & Marketing Manager of Dundalk Stadium, said: “We are delighted to offer a race day experience like no other combining an afternoon of horse racing and an evening of greyhound racing. "This event also marks our annual Ladies Day with a super prize of a trip to a destination of the winners choice and the chance to get the holiday clothes ready with a Marshes Shopping Spree. THERE will be dancing in Atticall GAC on Saturday night to Colin Harney. Doors open at 8pm. Admission £5. 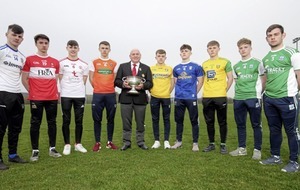 DROMARA GAC: The Cameron McEvoy Memorial Minor 7s Tournament at St Michael’s Park, Dromara will take place on Saturday July 7 from 12 noon. All welcome. All funds raised in aid of 'Mind Your Mate and Yourself'. GLASDRUMMAN'S Summer Fest kicks into gear from Friday July 6 to Saturday July 14 Our events include: Friday 6th: Annual Golf Classic at Kilkeel Golf Club. Tee Times from 12-5pm. Mon 9th to Fri 13th: 10am - Cul Camp for up to U14s. Register Now. Tue 10th, 7pm: Family Club Walk to Dinnywater. Donations Welcome for Chest, Heart & Stroke & Club Funds. Fri 13th 7-8.30pm: Juvenile Disco. Entry £2 in Clubrooms. Sat 14th 8pm: Summer BBQ & Live Music with 'John & Conor'. Tickets £10 avail now from any Committee Member. Our 2018 Cúl Camp registration is now open for up to U14s online or contact Kevin Burns or Catherine Kelly to register. Ballymacnab GFC celebrated the success of their 9-week 'Couch to 5k' health Initiative with a 5k walk/run around the beautiful Seaghan Dam in conjunction with St Brenda’s Camogie Club Ballymacnab.